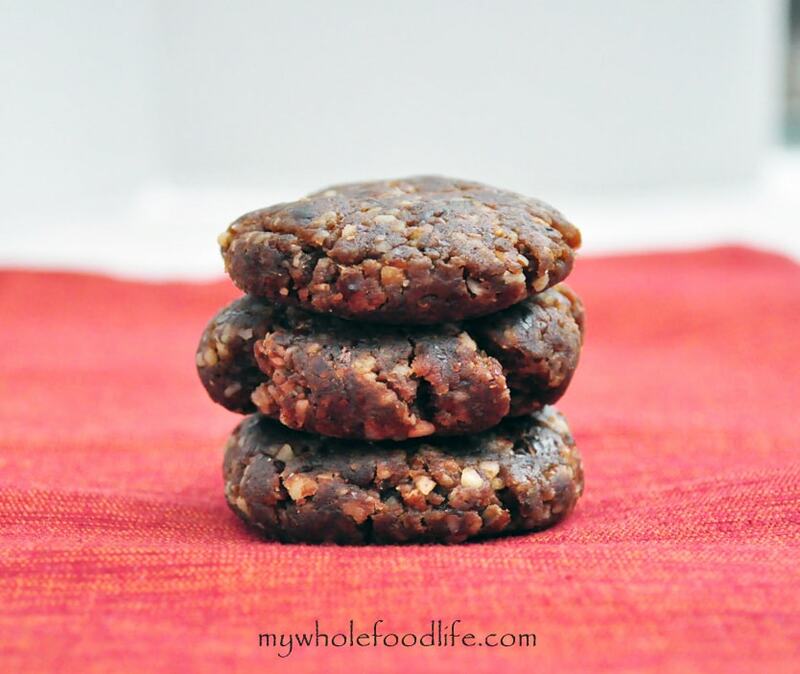 No Bake Gingerbread Cookies that are vegan, gluten free and paleo. As Thanksgiving comes closer, it’s time to think about gingerbread everything. I am sure everyone is starting to get sick of all things pumpkin these days. I have been wanting to make these no bake vegan gingerbread cookies for a while now and I’m so glad I did. They are AMAZING! These delicious no bake vegan gingerbread cookies are seriously easy to make. This is a cookie batter that’s safe to eat. These no bake paleo gingerbread cookies are also gluten free, grain free and vegan. Can it get any better? Looking for more gingerbread recipes? In the food processor , grind the pecans. Roll into balls and place on a parchment lined plate in the fridge to firm up. I got about 15 cookies out of my batch. Enjoy! What other gingerbread recipes would you like to see in the future? Oh, yum. So simple and delicious. Love simple recipes and no bake cookies. I should make these! Will Pin It. Thanks Olena and thanks for pinning! 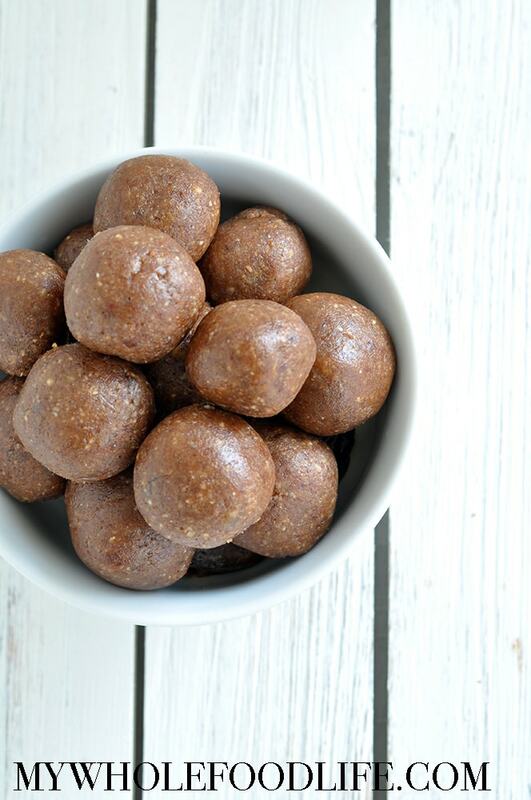 These remind me of your Snickerdoodle balls and your gingerbread oatmeal -- both delicious!!! You find just the right amounts of spices :) Yum! And thanks! Thanks Melissa! I will try those too :) Have a lovely day!!! YUM! I added a little extra molasses and used ground cloves instead of nutmeg. Even my friend who made fun of me for eating "smashed dates for dessert" thought they were good. Melissa, I love your blog and all the yummy recipes, thanks so much! I have a question for you, though - what kind of food processor do you use? I have tried using my mini-Cuisinart as well as my Blendtec blender to make recipes like this that include nuts and dates, but it always take a LOT of time and effort to get everything blended together. I've tried grinding the nuts and dates separately and then combining, but it doesn't seem to help. I've also tried making coconut manna out of shredded coconut, but gave up after about 45 min. of trying! Any words of advice? Thanks! Hi Heather! I have this one. 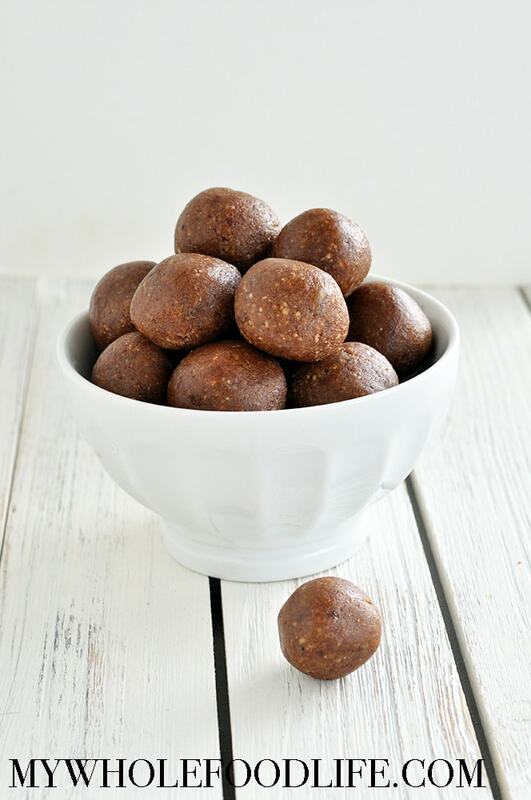 http://tinyurl.com/processor-mwfl It works great on all the no bake snacks. These sound amazing! Pinned already but I had to tell you that I can't wait to make them. I hope they don't do a number on my mini food processor, but you know, trying these cookies, it might just be worth it. Seriously delicious!! I didn't have pecans so used almonds instead and they taste so yummy...I hope there's some left when hubby gets home. Just made these. Soooo delicious and very easy! Thank you! You're welcome! I'm glad you liked them! Has anyone had success with using a vitamix for the larabars or these type of goodies? Some people claim to, but the mix can be tough to get out of the vitamix. If you try, soak the dates for 10 minutes in water to soften them. These look wonderful! I'm hoping to make them for my father as a healthier alternative. How should I store these? Do they need to stay in the fridge? Thank you! Yes, they need to be refrigerated.